While giving to a charity will make a positive impact in the world, these tax-saving charitable giving strategies can also lower your tax burden. If you normally itemize your deductions, then your charitable contributions can reduce how much you owe in taxes. This is especially true if you are a high-income earner. If you have appreciated securities, you can give them instead of cash. Contributing bonds, stocks and mutual funds has become more popular in the last few years because of the potential tax benefits. Many securities have unrealized gains because they have increased in value over the years. If you donate them to a public charity, you do not have to sell them first and be taxed on them. Instead, you can claim the fair market value of them. These tax-saving charitable giving strategies can be used for up to 30 percent of your adjusted gross income. If you regularly give to charities, you need to make sure that you are tracking your donations. Many contributions can be deducted from your taxes to a level of up to 50 percent of your adjusted gross income. 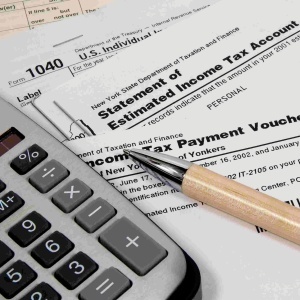 If you gave more than half of your adjusted gross income, the Internal Revenue Service (IRS) will let you carry over the excess amount and use it as a deduction for up to five years. To do this, you must keep evidence of your donations. If you donated more than $250, you will need a written receipt or acknowledgment from the charity that details your contribution. When you donate to a typical charity, you lose any right to determine how your donation is used. If you create up a foundation, you are able to keep control over how your donations are used and invested. Donating to your foundation still allows you to use a charitable income tax deduction. With a traditional IRA or workplace retirement plan, your contributions are tax deductible in the year that they are made. In a Roth IRA, your contributions are not tax deductible. The withdrawals and growth in the future are, which is why is why some investors switch to a Roth IRA. Unfortunately, switching to a Roth IRA can end up increasing your tax burden in the present. You will owe taxes on any of the pretax funds that are converted. Luckily, you can offset this effect by donating to a charity in the same year. You will get to reduce your tax burden while giving to the charity of your choice. A donor-advised fund is a type of fund that is made up of the contributions of individual donors. Once the contribution is made, the organization is given legal control of the contribution. Unlike other charities, the donor is allowed advisory privileges in saying how the funds will be invested or used. If you give a cash donation, you can deduct up to 50 percent of the contribution from your adjusted gross income. Up to 30 percent of your adjusted gross income can be deducted for appreciated securities. Donating to charities allows you to make a lasting impact on the world. Best of all, the IRS allows donors to deduct some or all of their donations from their adjusted gross income. With these tax-saving charitable giving strategies, your contribution can also provide you with a financial benefit on your 2017 tax return.